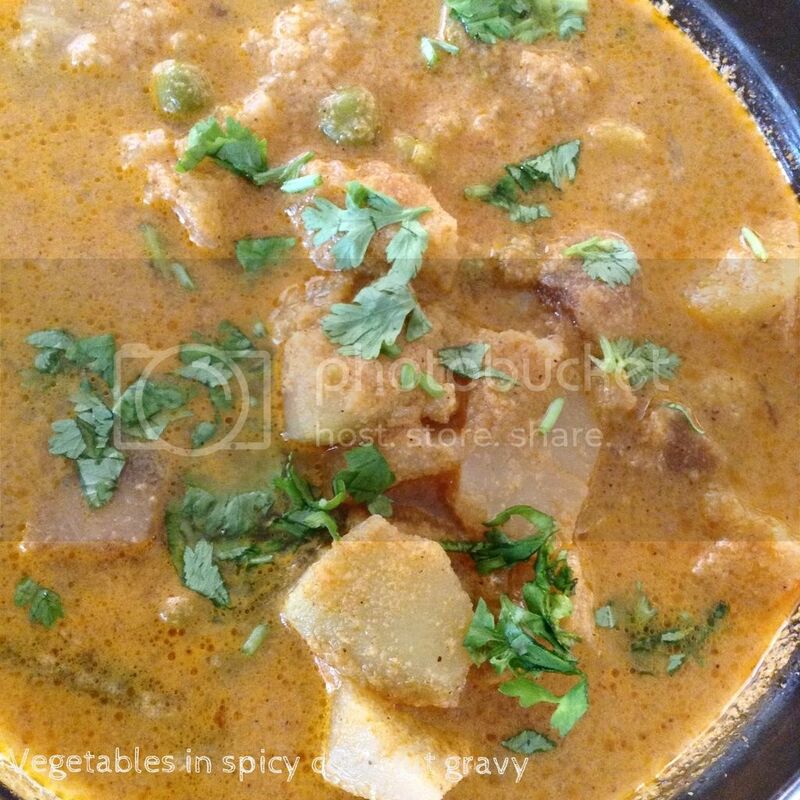 This is one of my favourite dish which goes good with dosa, idly, idiyappam, rotis and rice. 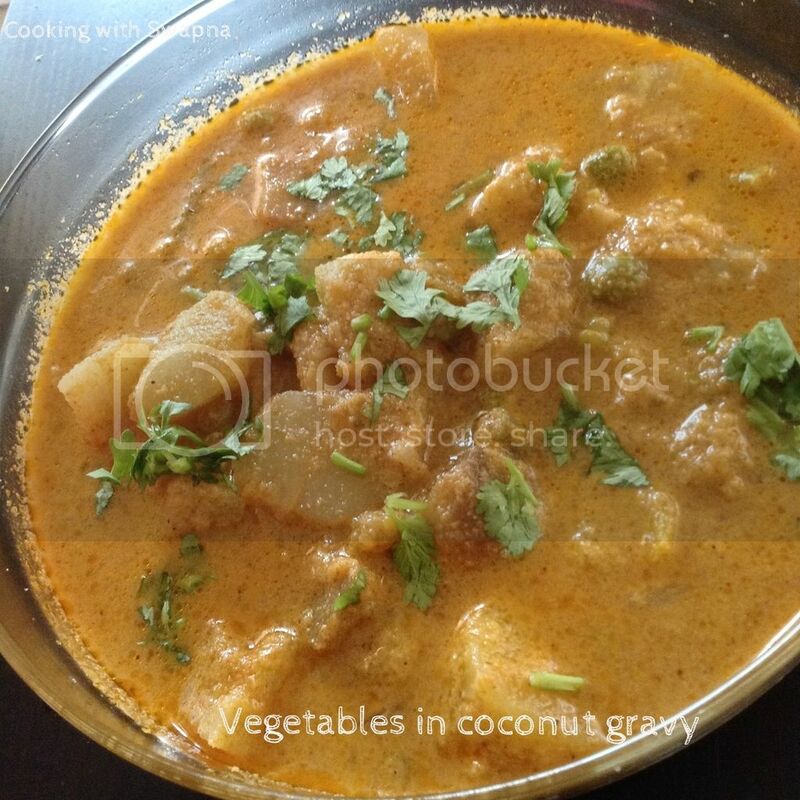 This dish taste like a nice mix of spicy flavours tempered by the coconut added to the masala, the thick gravy a combination of the coconut paste as well as the boiled potatoes adding their own starchiness to it. The other vegetables like beans, carrot, cauliflower or peas bring out the the rest. 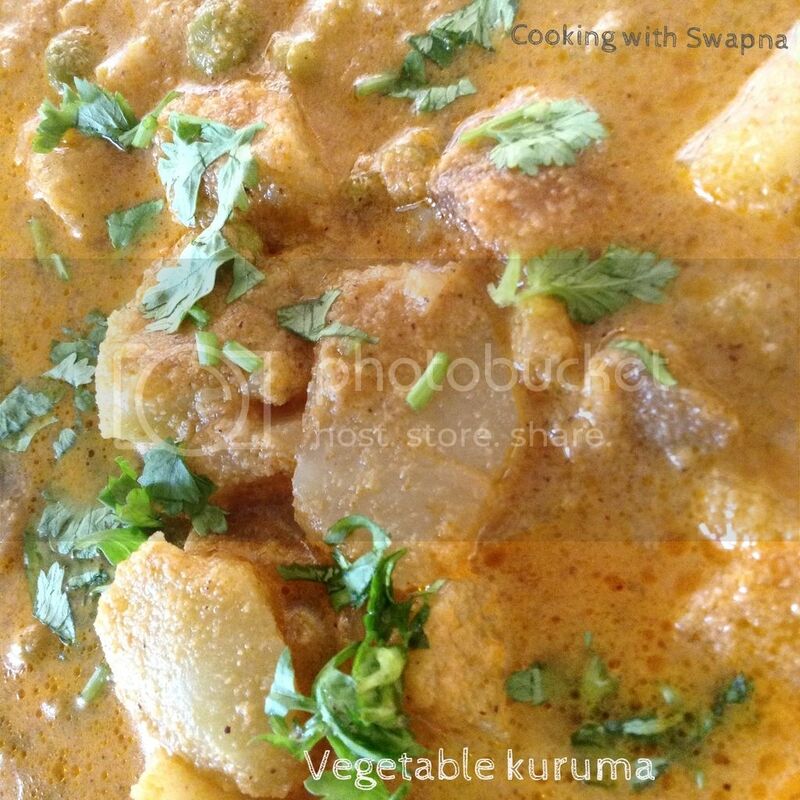 Perfect way of adding veggies to our everyday menu. 1. Heat oil in the heavy bottomed pan, add cinnamon stick, cloves, cardamom and finely chopped onions. Saute till tender. 2. Add ginger garlic paste, turmeric powder and salt. Saute. 3. Add vegetables, green chilly, chilly powder, coriander powder, cumin powder and finely chopped mint leaves. Saute. 4. Meanwhile, grind together coconut, tomato and cashew nut to smooth paste. Add the coconut mixture to the vegetables. Add water and cook over medium flame till done. 5. Add garam masala and coriander leaves.